Add lemon juice, 1 tsp of salt and rub it all over the chicken pieces. Cover and marinate for at least 3-4 hours or keep inside the refrigerator overnight. Place about ½ cup (4 ounces) of the flour mixture in a plastic bag and start putting one or two pieces in the bag. Start shaking the bag so that the chicken pieces get well coated with the flour mixture. Repeat with remaining chicken pieces and flour mixture. 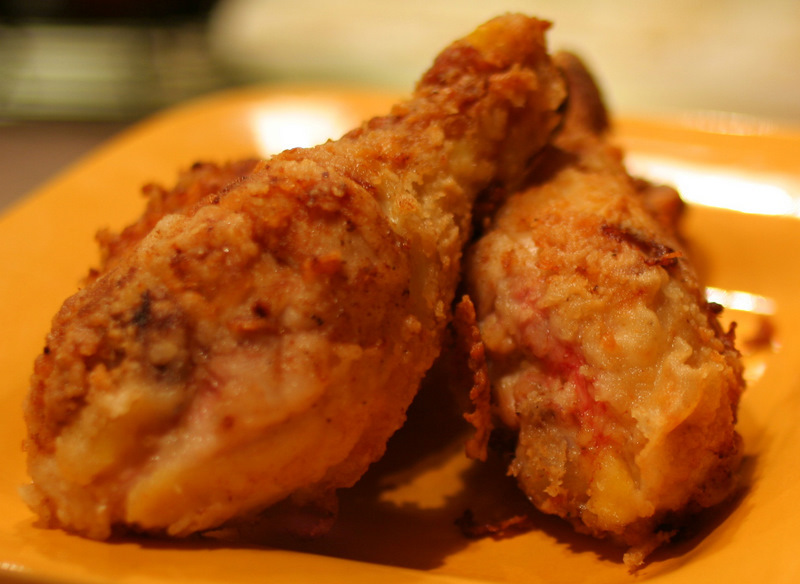 Deeply fry the chicken in an electric deep fryer over high heat after following the manufacturer’s instruction. Fry till it turns into crispy golden color. Serve hot with French fries and garlic chutney or you can try out with raita and potato chips.